When Luke Crisp graduates from business school, his father, CEO and co-founder of Fortune 500 Crisp’s Copy Centers, is ready to share some good news: he wants to turn the family business over to his son. But Luke has other plans. Taking control of his trust fund, Luke leaves home to pursue a life of reckless indulgence. 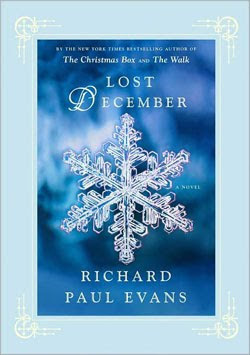 Lost December is Richard Paul Evans’s modernday holiday version of the biblical story of the prodigal son, a powerful tale of redemption, hope, and the true meaning of love.